After third Taser death, California police officials reconsider 'less-lethal' weapon | C.O.B.P. 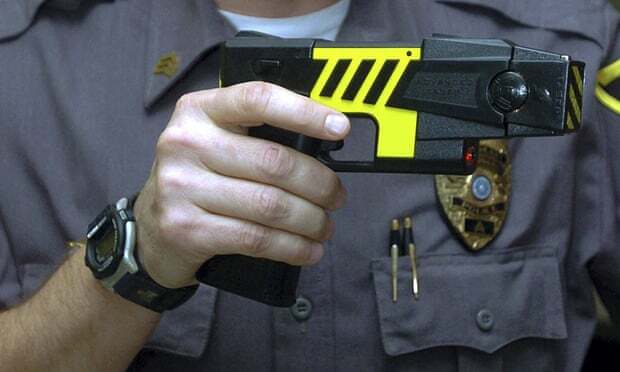 A man killed after sheriff’s deputies south of San Francisco Tasered him earlier this month was the third such death in the county at the hands of law enforcement officers using the electric-shock weapon in the past 10 months. The series of killings in San Mateo county has law enforcement officials reconsidering the value of a weapon used by police agencies worldwide as a less-lethal alternative to a gun while attorneys for the families of two of the men killed are calling for a moratorium on the use of Tasers in the county until a thorough study on the department’s policies and training is completed.